Before :- Dalveer Bhandari, Sudhansu Jyoti Mukhopadhaya and Dipak Misra, JJ. Criminal Appeal No. 838 of 2008, Crl. A. Nos. 1483, 1484 of 2009 and 842 of 2008. D/d. 27.4.2012. For the Appearing Parties :- P.P. Malhotra, ASG, Arun Mohan, (Amicus Curiae), Dr. Abhishek Manu Singhvi, Amit Desai, Sidharh Luthra, Senior Advocates, Munessh Malhotra, Pankaj Gupta, Rajat Bali, Shri Singh, Ms. Ruby Singh Ahuja, Ms. Supriya Ahuja, Raunak Dhillon, Udit Mendiratta, Amit Bhandari, Ms. Manik Karanjawala, Vijay K. Sondhi, Salim Ansari, Wasim Beg, Suhail Malik, Jaiveer Shergil, Subramonium Prasad, Rajesh Harnal, Bharat B. Sethi, Ms. Jyoti Mendiratta, R.N. Karanjawala, P.K. Dey, Shailendra Sharma, Ms. Sonia Malhotra, B.N. Balaram Das and Ms. Gargi Khanna, Advocates. JUDGMENTDipak Misra, J. - In Criminal Appeal Nos. 838 of 2008 and 842 of 2008, the common proposition of law that has emerged for consideration is whether an authorised signatory of a company would be liable for prosecution under Section 138 of the Negotiable Instruments Act, 1881 (for brevity 'the Act') without the company being arraigned as an accused. Be it noted, these two appeals were initially heard by a two-Judge Bench and there was difference of opinion between the two learned Judges in the interpretation of Sections 138 and 141 of the Act and, therefore, the matter has been placed before us. "28. With the greatest of respect to the learned judges, it is difficult to agree therewith. The findings, if taken to its logical corollary lead us to an anomalous position. The trial court, in a given case although the company is not an accused, would have to arrive at a finding that it is guilty. Company, although a juristic person, is a separate entity. Directors may come and go. The company remains. It has its own reputation and standing in the market which is required to be maintained. Nobody, without any authority of law, can sentence it or find it guilty of commission of offence. Before recording a finding that it is guilty of commission of a serious offence, it may be heard. The Director who was in charge of the company at one point of time may have no interest in the company. He may not even defend the company. He need not even continue to be its Director. He may have his own score to settle in view of change in management of the company. In a situation of that nature, the company would for all intent and purport would stand convicted, although, it was not an accused and, thus, had no opportunity to defend itself. It is, therefore, in interpreting a statute of this nature difficult to conceive that it would be legally permissible to hold a company, the prime offender, liable for commission of an offence although it does not get an opportunity to defend itself. It is against all principles of fairness and justice. It is opposed to the Rule of Law. No statute in view of our Constitutional Scheme can be construed in such a manner so as to refuse an opportunity of being heard to a person. It would not only offend a common- sense, it may be held to be unconstitutional. Such a construction, therefore, in my opinion should be avoided. In any event in a case of this nature, the construction which may be available in invoking Essential Commodities Act, Prevention of Food Adulteration Act, which affects the Society at large may not have any application when only a private individual is involved." "It is one thing to say that the complaint petition proceeded against the accused persons on the premise that the company had not committed the offence but the accused did, but it is another thing to say that although the company was the principal offender, it need not be made an accused at all. I have no doubt whatsoever in our mind that prosecution of the company is a sine qua non for prosecution of the other persons who fall within the second and third categories of the candidates, viz., everyone who was in- charge and was responsible for the business of the company and any other person who was a director or managing director or secretary or officer of the company with whose connivance or due to whose neglect the company had committed the offence." "True interpretation, in my opinion, of the said provision would be that a company has to be made an accused but applying the principle "lex non cogit ad impossibilia", i.e., if for some legal snag, the company cannot be proceeded against without obtaining sanction of a court of law or other authority, the trial as against the other accused may be proceeded against if the ingredients of Section 138 as also 141 are otherwise fulfilled. In such an event, it would not be a case where the company had not been made an accused but would be one where the company cannot be proceeded against due to existence of a legal bar. A distinction must be borne in mind between cases where a company had not been made an accused and the one where despite making it an accused, it cannot be proceeded against because of a legal bar." 9. V.S. Sirpurkar J., after narrating the facts and referring to Section 141(2) of the Act, which deals with additional criminal liability, opined that even if the liability against the appellant is vicarious herein on account of the offence having alleged to have been committed by M/s. International Travels, it would be presumed that the appellant had also committed the offence and non-arraying of M/s. International Travels as an accused would be of no consequence. His Lordship further held that there is nothing in Standard Chartered Bank and others (supra), S.M.S. Pharmaceuticals Limited (supra), Sabitha Ramamurthy and another (supra), S.V. Muzumdar and others (supra), Sarav Investment and Financial Consultants Pvt. Ltd. and another (supra) and K. Srikanth Singh (supra) to suggest that unless the Company itself is made an accused, there cannot be prosecution of the signatory of the cheque alone. Thereafter, the learned Judge referred to the decision in Anil Hada and expressed that in the said case, the decision of C.V. Parekh (supra) and Sheoratan Agarwal (supra) had been referred to and, therefore, it is a binding precedent and cannot be viewed as an obiter dicta. Sirpurkar J. further proceeded to state that the principle of lex non cogit ad impossibilia would not apply. That apart, the learned Judge held that in the case at hand, it is yet to be decided as to whether the flaw was that of the Company or the appellant herself and it could not be made out as to whether the cheque issued by the accused was issued on behalf of the Company or to discharge her personal liability. Eventually, his Lordship referred to the allegations in the complaint which are to the effect that the two accused persons, namely, Anil Hada and Aneeta Hada, used to purchase the air tickets for their clients and they had purchased for the Company from time to time and issued cheques. The accused No. 1 used to conduct the business of the Company and she also used to purchase the tickets from the complainant. On the aforesaid foundation the learned Judge opined that the basic complaint is against the two accused persons in their individual capacity and they might be purchasing tickets for their travelling company. Being of this view, he dismissed both the appeals. (c) It is a fundamental principle of criminal law that a penal provision must receive strict construction. The deeming fiction has to be applied in its complete sense to have the full effect as the use of the language in the provision really ostracizes or gets away with the concepts like "identification", "attribution" and lifting the corporate veil and, in fact, puts the directors and the officers responsible in a deemed concept compartment on certain guided parameters. (e) The decision in Sheoratan Agarwal and Another (supra) has incorrectly distinguished the decision in C.V. Parekh (supra) and has also misconstrued the ratio laid down therein. That apart, in the said decision, a part of the provision contained in Section 10(1) of the Essential Commodities Act, 1955 (for brevity 'the 1955 Act') has been altogether omitted as a consequence of which a patent mistake has occurred. (f) The decision in Anil Hada (supra) has not appreciated in proper perspective the ratio decidendi in C.V. Parekh and further there is an inherent contradiction in the judgment inasmuch as at one point, it has been stated that "the payee can succeed in the case only if he succeeds in showing that the offence was actually committed by the company" but at another place, it has been ruled that "the accused can show that the company has not committed the offence, though such company is not made an accused". (g) The terms used "as well as the company" in Section 141(1) of the Act cannot mean that no offence need be committed by the company to attract the vicarious liability of the officers in-charge of the management of the company because the first condition precedent is commission of the offence by a person which is the company. (i) If the interpretation placed by the appellant is accepted, the scheme, aims, objects and the purpose of the legislature would be defeated inasmuch as Chapter XVII of the Act as introduced by the Negotiable Instruments Laws (Amendment) Act, 1988 (66 of 1988)is to promote efficacy of banking to ensure that in commercial or contractual transactions, cheques are not dishonoured and the credibility in transacting business through cheques is maintained. The Chapter has been inserted with the object of promoting and inculcating faith in the efficacy of the banking system and its operations and giving credibility to negotiable instruments in business transactions. The fundamental purpose is to discourage people from not honouring their commitments and punish unscrupulous persons who purport to discharge their liability by issuing cheques without really intending to do so. If the legislative intendment is appositely understood and appreciated, the interpretation of the various provisions of the Act is to be made in favour of the paying-complainant. To bolster the aforesaid submission, reliance has been placed on Electronics Trade and Technology Development Corporation Ltd., Secunderabad v. Indian Technologists and Engineers (Electronics) (P) Ltd. and another, 1996(1) R.C.R. (Criminal) 592 : (1996) 2 SCC 739, C.C. Alavi Haji v. Palapetty Mohammed and Another, (2007)6 SCC 555 and Vinay Devanna Nayak v. Ryot Sewa Sahakaro Bank Ltd., 2008(1) R.C.R. (Criminal) 249 : 2008(1) R.C.R. (Civil) 249 : 2007(6) R.A.J. 558 : (2008) 2 SCC 305. (iii) After the amendment of the Act, the unscrupulous drawers had endeavoured hard to seek many an escape route to avoid the criminal liability but this Court with appropriate interpretative process has discouraged the innovative pleas of such accused persons who had issued cheques as the purpose is to eradicate mischief in the commercial world. To buttress the aforesaid submission, heavy reliance has been placed on D. Vinod Shivappa v. Nanda Belliappa, 2006(3) R.C.R. (Criminal) 145 : 2006(3) R.C.R. (Civil) 50 : 2006(2) Apex Criminal 315 : AIR 2006 SC 2179, M/s. Modi Cement Ltd. v. Shri Kuchil Kumar Nandi, 1998(2) R.C.R. (Criminal) 77 : AIR 1998 SC 1057, Goaplast Pvt. Shri Ltd. v. Chico Ursula D'souza and Anr., 2003(2) R.C.R. (Criminal) 131 : 2004(1) Apex Criminal 55 : AIR 2003 SC 2035, NEPC Micon Ltd and Ors. v. Magma Leasing Ltd., 1999(2) R.C.R. (Criminal) 648 : (1999) 4 SCC 253, Dalmia Cement (Bharat) Ltd. v. M/s. Galaxy Traders and Agencies Ltd and Ors., 2001(1) R.C.R. (Criminal) 646 : AIR 2001 SC 676, I.C.D.C. Ltd. v. Beena Shabeer and Anr., 2002(4) R.C.R. (Criminal) 74 : 2002 Crl.L.J. 3935 (SC) and S.V. Majumdar and others v. Gujarat Fertilizers Co. Ltd and Anr., 2005(2) R.C.R. (Criminal) 860 : 2005(2) Apex Criminal 98 : AIR 2005 SC 2436. (iv) The company being a legal entity acts through its directors or other authorized officers and it authorizes its directors or other officers to sign and issue cheques and intimate the bank to honour the cheques if signed by such persons. The legislature in its wisdom has used the word 'drawer' in Sections 7 and 138 of the Act but not "an account holder". A notice issued to the Managing Director of the company who has signed the cheques is liable for the offence and a signatory of a cheque is clearly responsible for the incriminating act and, therefore, a complaint under Section 138 of the Act against the director or authorized signatory of the cheque is maintainable. In this regard, reliance has been placed upon M/s. Bilakchand Gyanchand Co. v. A. Chinnaswami, 1999(4) R.C.R. 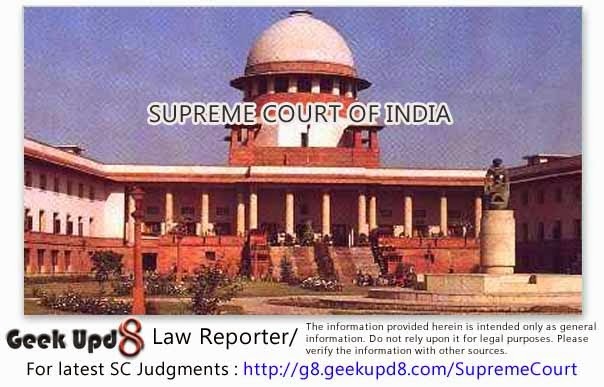 (Criminal) 114 : JT 1999 (10) SC 236, Rajneesh Aggarwal v. Amit J. Bhalla, 2001(1) R.C.R. (Criminal) 605 : JT 2001 (1) SC 325, SMS Pharmaceuticals Ltd. v. Neeta Bhalla (supra), Anil Hada v. Indian Acrylic Ltd. (supra) and R. Rajgopal v. S.S. Venkat, 2001(3) R.C.R. (Criminal) 347 : AIR 2001 SC 2432. (c) the drawer of such cheque fails to make the payment of said amount of money to the payee or, as the case may be, to the holder in due course of the cheque, within fifteen days of the receipt of the said notice." (2) Notwithstanding anything contained in sub-section (1), where any offence under this Act, has been committed by a company and it is proved that the offence has been committed with the consent or connivance of, or is attributable to, any neglect on the part of, any director, manager, secretary or other officer of the company, such director, manager, secretary or other officer shall also be deemed to be guilty of that offence and shall be liable to be proceeded against and punished accordingly." 21. In H.L. Bolton (Engineering) Co. Ltd. v. T.J. Graham & Sons Ltd., (1956) 3 All E.R. 624 Lord Denning, while dealing with the liability of a company, in his inimitable style, has expressed that a company may in many ways be likened to a human body. It has a brain and nerve centre which controls what it does. It also has hands which hold the tools and act in accordance with directions from the centre. Some of the people in the company are mere servants and agents who are nothing more than hands to do the work and cannot be said to represent the mind or will. Others are directors and managers who represent the directing mind and will of the company, and control what it does. The state of mind of these managers is the state of mind of the company and is treated by the law as such. 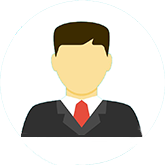 In certain cases, where the law requires personal fault as a condition of liability in tort, the fault of the manager will be the personal fault of the company. The learned Law Lord referred to Lord Haldane's speech in Lennard's Carrying Co. Ltd. v. Asiatic Petroleum Co. Ltd., (1915) AC 705, 713-714; 31 T.L.R. 294. Elaborating further, he has observed that in criminal law, in cases where the law requires a guilty mind as a condition of a criminal offence, the guilty mind of the directors or the managers will render the company itself guilty. "A body corporate is a "person" to whom, amongst the various attributes it may have, there should be imputed the attribute of a mind capable of knowing and forming an intention - indeed it is much too late in the day to suggest the contrary. It can only know or form an intention through its human agents, but circumstance may be such that the knowledge of the agent must be imputed to the body corporate. Counsel for the respondents says that, although a body corporate may be capable of having an intention, it is not capable of having a criminal intention. In this particular case the intention was the intention to deceive. If, as in this case, the responsible agent of a body corporate puts forward a document knowing it to be false and intending that it should deceive. I apprehend, according to the authorities that Viscount Caldecote, L.C.J., has cited, his knowledge and intention must be imputed to the body corporate. "The courts in England have emphatically rejected the notion that a body corporate could not commit a criminal offence which was an outcome of an act of will needing a particular state of mind. The aforesaid notion has been rejected by adopting the doctrine of attribution and imputation. In other words, the criminal intent of the "alter ego" of the company/body corporate i.e. the person or group of persons that guide the business of the company, would be imputed to the corporation." "When a statute enacts that something shall be deemed to have been done, which, in fact and truth was not done, the Court is entitled and bound to ascertain for what purposes and between what persons the statutory fiction is to be resorted to." "If you are bidden to treat an imaginary state of affairs as real, you must surely, unless prohibited from doing so, also imagine as real the consequences and incidents, which, if the putative state of affairs had in fact existed, must inevitably have flowed from or accompanied it.... The statute says that you must imagine a certain state of affairs; it does not say that having done so, you must cause or permit your imagination to boggle when it comes to the inevitable corollaries of that state of affairs." 29. In The Bengal Immunity Co. Ltd. v. State of Bihar and others, AIR 1955 SC 661, the majority in the Constitution Bench have opined that legal fictions are created only for some definite purpose. "It was argued that the Legislature might well have used the word "deemed" in Sub-section (4) of Section171 not in the first of the above senses but in the second, if not the third. In our view the meaning to be attached to the word "deemed" must depend upon the context in which it is used." 31. In State of Tamil Nadu v. Arooran Sugars Ltd., AIR 1997 SC 1815, the Constitution Bench, while dealing with the deeming provision in a statute, ruled that the role of a provision in a statute creating legal fiction is well settled. Reference was made to The Chief Inspector of Mines and another v. Lala Karam Chand Thapar Etc., AIR 1961 SC 838, J.K. Cotton Spinning and Weaving Mills Ltd. and anr. v. Union of India and others, AIR 1988 SC 191, M. Venugopal v. Divisional Manager, Life Insurance Corporation of India, 1994(1) S.C.T. 858 : (1994) 2 SCC 323 and Harish Tandon v. Addl. District Magistrate, Allahabad, 1995(1) R.C.R. (Rent) 217 : (1995) 1 SCC 537 and eventually, it was held that when a statute creates a legal fiction saying that something shall be deemed to have been done which in fact and truth has not been done, the Court has to examine and ascertain as to for what purpose and between which persons such a statutory fiction is to be resorted to and thereafter, the courts have to give full effect to such a statutory fiction and it has to be carried to its logical conclusion. "It primarily falls on the drawer company and is extended to officers of the company. The normal rule in the cases involving criminal liability is against vicarious liability, that is, no one is to be held criminally liable for an act of another. This normal rule is, however, subject to exception on account of specific provision being made in the statutes extending liability to others. Section 141 of the Act is an instance of specific provision which in case an offence under Section 138 is committed by a company, extends criminal liability for dishonor of a cheque to officers of the company. Section 141 contains conditions which have to be satisfied before the liability can be extended to officers of a company. Since the provision creates criminal liability, the conditions have to be strictly complied with. The conditions are intended to ensure that a person who is sought to be made vicariously liable for an offence of which the principal accused is the company, had a role to play in relation to the incriminating act and further that such a person should know what is attributed to him to make him liable." "There is almost unanimous judicial opinion that necessary averments ought to be contained in a complaint before a person can be subjected to criminal process. A liability under Section 141 of the Act is sought to be fastened vicariously on a person connected with a Company, the principal accused being the company itself. It is a departure from the rule in criminal law against vicarious liability." "Learned counsel for the appellant, however, sought conviction of the two respondents on the basis of Section 10 of the Essential Commodities Act under which, if the person contravening an order made under Section 3 (which covers an order under the Iron and Steel Control Order, 1956), is a company, every person who, at the time the contravention was committed, was in charge of, and was responsible to, the company for the conduct of the business of the company as well as the company, shall be deemed to be guilty of the contravention and shall be liable to be proceeded against and punished accordingly. It was urged that the two respondents were in charge of, and were responsible to, the Company for the conduct of the business of the Company and, consequently, they must be held responsible for the sale and for thus contravening the provisions of clause (5) of the Iron and Steel Control Order. This argument cannot be accepted, because it ignores the first condition for the applicability of Section 10 to the effect that the person contravening the order must be a company itself. In the present case, there is no finding either by the Magistrate or by the High Court that the sale in contravention of clause (5) of the Iron and Steel Control Order was made by the Company. In fact, the Company was not charged with the offence at all. The liability of the persons in charge of the Company only arises when the contravention is by the Company itself. Since, in this case, there is no evidence and no finding that the Company contravened clause (5) of the Iron and Steel Control Order, the two respondents could not be held responsible. The actual contravention was by Kamdar and Vallabhadas Thacker and any contravention by them would not fasten responsibility on the respondents." "The sentences underscored by us clearly show that what was sought to be emphasised was that there should be a finding that the contravention was by the company before the accused could be convicted and not that the company itself should have been prosecuted along with the accused. We are therefore clearly of the view that the prosecutions are maintainable and that there is nothing in Section 10 of the Essential Commodities Act which bars such prosecutions." "because it ignores the first condition for the applicability of Section 10 to the effect that the person contravening the order must be a company itself. In the present case, there is no finding either by the Magistrate or by the High Court that the sale in contravention of clause (5) of the Iron and Steel Control Order was made by the Company and there is no evidence and no finding that the Company contravened clause (5) of the Iron and Steel Control Order, the two respondents could not be held responsible." "12. Thus when the drawer of the cheque who falls within the ambit of Section 138 of the Act is a human being or a body corporate or even firm, prosecution proceedings can be initiated against such drawer. In this context the phrase "as well as" used in Sub-section (1) of Section 141 of the Act has some importance. The said phrase would embroil the persons mentioned in the first category within the tentacles of the offence on a par with the offending company. Similarly the words "shall also" in Sub-section (2) are capable of bringing the third category persons additionally within the dragnet of the offence on an equal par. The effect of reading Section 141 is that when the company is the drawer of the cheque such company is the principal offender under Section 138 of the Act and the remaining persons are made offenders by virtue of the legal fiction created by the legislature as per the section. Hence the actual offence should have been committed by the company, and then alone the other two categories of persons can also become liable for the offence. 13. If the offence was committed by a company it can be punished only if the company is prosecuted. But instead of prosecuting the company if a payee opts to prosecute only the persons falling within the second or third category the payee can succeed in the case only if he succeeds in showing that the offence was actually committed by the company. In such a prosecution the accused can show that the company has not committed the offence, though such company is not made an accused, and hence the prosecuted accused is not liable to be punished. The provisions do not contain a condition that prosecution of the company is sine qua non for prosecution of the other persons who fall within the second and the third categories mentioned above. No doubt a finding that the offence was committed by the company is sine qua non for convicting those other persons. But if a company is not prosecuted due to any legal snag or otherwise, the other prosecuted persons cannot, on that score alone, escape from the penal liability created through the legal fiction envisaged in Section 141 of the Act." "We, therefore, hold that even if the prosecution proceedings against the Company were not taken or could not be continued, it is no bar for proceeding against the other persons falling within the purview of sub- sections (1) and (2) of Section 141 of the Act." "Although as a pure proposition of law in the abstract the learned single Judge's view that there can be no vicarious liability of the Chairman, Vice-Chairman, Managing Director and members of the Board of Directors under sub-section (1) or (2) of Section 47 of the Act unless there was a prosecution against Messers Modi Industries Limited, the Company owning the industrial unit, can be termed as correct, the objection raised by the petitioners before the High Court ought to have been viewed not in isolation but in the conspectus of facts and events and not in vacuum. We have already pointed out that the technical flaw in the complaint is attributable to the failure of the industrial unit to furnish the requisite information called for by the Board. Furthermore, the legal infirmity is of such a nature which could be easily cured. Another circumstance which brings out the narrow perspective of the learned single Judge is his failure to appreciate the fact that the averment in paragraph 2 has to be construed in the light of the averments contained in paragraphs 17, 18 and 19 which are to the effect that the Chairman, Vice- Chairman, Managing Director and members of the Board of Directors were also liable for the alleged offence committed by the Company." Be it noted, the two-Judge Bench has correctly stated that there can be no vicarious liability unless there is a prosecution against the company owning the industrial unit but, regard being had to the factual matrix, namely, the technical fault on the part of the company to furnish the requisite information called for by the Board, directed for making a formal amendment by the applicant and substitute the name of the owning industrial unit. It is worth noting that in the said case, M/s. Modi distilleries was arrayed as a party instead of M/s. Modi Industries Limited. Thus, it was a defective complaint which was curable but, a pregnant one, the law laid down as regards the primary liability of the company without which no vicarious liability can be imposed has been appositely stated. "A principle of statutory interpretation embodies the policy of the law, which is in turn based on public policy. The court presumes, unless the contrary intention appears, that the legislator intended to conform to this legal policy. A principle of statutory interpretation can therefore be described as a principle of legal policy formulated as a guide to legislative intention. "The strict construction of penal statutes seems to manifest itself in four ways: in the requirement of express language for the creation of an offence; in interpreting strictly words setting out the elements of an offence; in requiring the fulfilment to the letter of statutory conditions precedent to the infliction of punishment; and in insisting on the strict observance of technical provisions concerning criminal procedure and jurisdiction." 42. We have referred to the aforesaid passages only to highlight that there has to be strict observance of the provisions regard being had to the legislative intendment because it deals with penal provisions and a penalty is not to be imposed affecting the rights of persons whether juristic entities or individuals, unless they are arrayed as accused. It is to be kept in mind that the power of punishment is vested in the legislature and that is absolute in Section 141 of the Act which clearly speaks of commission of offence by the company. The learned counsel for the respondents have vehemently urged that the use of the term "as well as" in the Section is of immense significance and, in its tentacle, it brings in the company as well as the director and/or other officers who are responsible for the acts of the company and, therefore, a prosecution against the directors or other officers is tenable even if the company is not arraigned as an accused. The words "as well as" have to be understood in the context. In Reserve Bank of India v. Peerless General Finance and Investment Co. Ltd. and others, (1987)1 SCC 424 it has been laid down that the entire statute must be first read as a whole, then section by section, clause by clause, phrase by phrase and word by word. The same principle has been reiterated in Deewan Singh and others v. Rajendra Prasad Ardevi and others, (2007)10 SCC 528 and Sarabjit Rick Singh v. Union of India, (2008)2 SCC 417. Applying the doctrine of strict construction, we are of the considered opinion that commission of offence by the company is an express condition precedent to attract the vicarious liability of others. Thus, the words "as well as the company" appearing in the Section make it absolutely unmistakably clear that when the company can be prosecuted, then only the persons mentioned in the other categories could be vicariously liable for the offence subject to the averments in the petition and proof thereof. One cannot be oblivious of the fact that the company is a juristic person and it has its own respectability. If a finding is recorded against it, it would create a concavity in its reputation. There can be situations when the corporate reputation is affected when a director is indicted. 43. In view of our aforesaid analysis, we arrive at the irresistible conclusion that for maintaining the prosecution under Section 141 of the Act, arraigning of a company as an accused is imperative. The other categories of offenders can only be brought in the dragnet on the touchstone of vicarious liability as the same has been stipulated in the provision itself. We say so on the basis of the ratio laid down in C.V. Parekh (supra) which is a three- Judge Bench decision. Thus, the view expressed in Sheoratan Agarwal (supra) does not correctly lay down the law and, accordingly, is hereby overruled. The decision in Anil Hada (supra) is overruled with the qualifier as stated in paragraph 37. The decision in Modi Distilleries (supra) has to be treated to be restricted to its own facts as has been explained by us hereinabove.